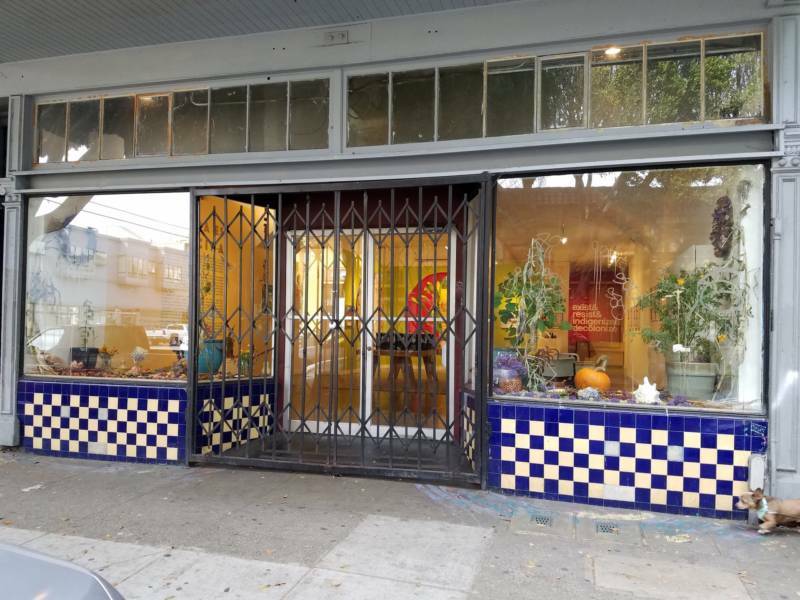 The uncertain future of one of the Bay Area's leading Latino art galleries got a boost Monday when San Francisco Mayor London Breed weighed in on stalled lease negotiations. The landlords of the Mission district icon Galería de la Raza had proposed doubling the rent. 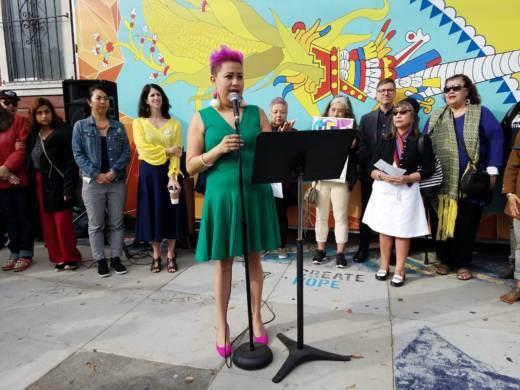 “Galería de la Raza is a staple in the Mission community and an invaluable cultural resource,” Breed said in a statement Monday afternoon. The mayor said she would direct the Office of Economic and Workforce Development and the San Francisco Arts Commission to “explore and exhaust every option” to help the Galería obtain a fair and reasonable lease. The art space has operated under month-to-month agreements for the 46 years it has been at its location on the corner of 24th and Bryant streets. The two-year lease under consideration would have given the cultural center time to find a permanent home elsewhere in the Mission. This summer, Galería’s landlord proposed doubling the $3,127 rent for the approximately 5,000-square-foot space. The property is owned by the Lily Ng Trust and managed by GBA Realty. The nonprofit countered, asking for a slower scale-up in cost or to rent a quarter of the space instead at the same price. It would still be a sacrifice, said Rivera. “This would be like your landlord saying, ‘OK, I’m going to continue to charge you the same rent, but you only get to keep your bathroom and your closet,' ” she said. Two weeks ago, when the landlord served the gallery with a three-day pay-or-vacate notice, San Francisco Supervisor Hillary Ronen got involved, hoping to bring the two sides to an agreement. But according to Ronen, talks broke down when the Galería refused to take on liability for accessibility improvements. These liabilities could cost millions of dollars, said Ronen. “What’s been happening at this negotiation is that Galería has been compromising and compromising,” Ronen said. Phan said that the owners he represents had not asked for significant rent increases in the many years that the Galería has been in the space. Now, however, Phan said the landlord is asking for a rent increase because the cost of maintaining sidewalks, sewer lines and trees has skyrocketed in San Francisco. “With all this cost piling up, the only option is to ask the Galería to help out with the improvement costs,” he said. As a show of friendliness, Phan said the owners recently withdrew the three-day pay-or-vacate notice. No matter how the situation shakes out, Ronen pointed out that the building is part of the Calle 24 Special Use District. If Galería is evicted, she said, the landlords will have to get permission from the city’s Planning Commission before another business can move into the space. “They’re going to have a hard time, quite frankly, finding a new renter for this space and they need to realize that,” she said. As for the board of Galería de la Raza, they’re considering their future elsewhere in the Mission.